In order to discharge the contaminated land planning condition attached to the development, Demeter Environmental Ltd were commissioned to prepare a desk study report for the site. The site comprised of a barn that had previously been used as a milking parlor, a vacant dwelling and an area of concrete hard-standing. The review of the historical maps indicated that the existing buildings predate the first edition O.S. map (1891), and whilst a number of in-filled ponds were identified in the historical review, the qualitative risk assessment in the desk study discounted these as a credible sources of ground gases. 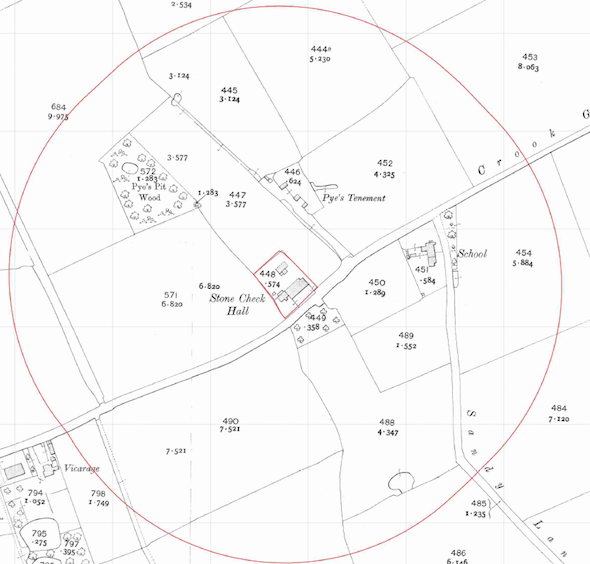 The report was updated in October 2013 to support a new planning application (13/00467/FUL) with an additional walkover to demonstrate the site had not changed since the original walkover. The updated report was accepted and a watching brief on the area of concrete hard-standing was accepted. The desk study report is available via 13/00467/DIS (the Desk Study can be accessed here and the acceptance of the desk study is here.